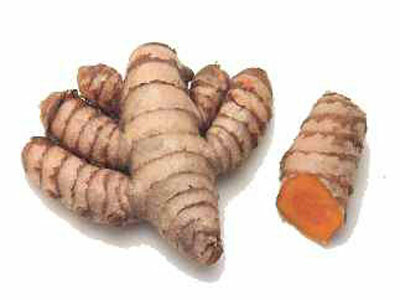 Turmeric, of the ginger family, is grown in many parts of the Caribbean. Turmeric, an Asian spice found in many curries, has a long history of use in reducing inflammation, healing wounds and relieving pain, but can it prevent diabetes? Since inflammation plays a big role in many diseases and is believed to be involved in onset of both obesity and Type 2 diabetes, Drew Tortoriello, M.D., an endocrinologist and research scientist at the Naomi Berrie Diabetes Center at Columbia University Medical Center, and his colleagues were curious what effect the herb might have on diabetic mice. Dr. Tortoriello, working with pediatric resident Stuart Weisberg, M.D., Ph.D., and Rudolph Leibel, M.D., fellow endocrinologist and the co-director of the Naomi Berrie Diabetes Center, discovered that turmeric-treated mice were less susceptible to developing Type 2 diabetes, based on their blood glucose levels, and glucose and insulin tolerance tests. They also discovered that turmeric-fed obese mice showed significantly reduced inflammation in fat tissue and liver compared to controls. They speculate that curcumin, the anti-inflammatory, anti-oxidant ingredient in turmeric, lessens insulin resistance and prevents Type 2 diabetes in these mouse models by dampening the inflammatory response provoked by obesity. Their findings are the subject of a soon-to-be published paper in Endocrinology and were presented at ENDO 2008, the Endocrine Society’s annual meeting in San Francisco this week. Turmeric (Curcuma longa) has no known dose-limiting toxicities in doses of up to at least 12 grams daily in humans. The researchers tested high-doses of a dietary curcumin in two distinct mouse models of obesity and Type 2 diabetes: high-fat-diet-fed male mice and leptin-deficient obese female mice, with lean wild-type mice that were fed low-fat diets used as controls. The inflammation associated with obesity was shown several years ago by researchers in the Naomi Berrie Diabetes Center to be due in part to the presence of immune cells called macrophages in fat tissues throughout the body. These cells produce “cytokine” molecules that can cause inflammation in organs such as the heart, and islets of the pancreas, while also increasing insulin resistance in muscle and liver. Researchers hypothesized that by suppressing the number and activity of these cells, with turmeric or a drug with similar actions, it may be possible to reduce some of the adverse consequences of obesity. Curcumin administration was also associated with a small but significant decline in body weight and fat content, despite level or higher calorie consumption, suggesting that curcumin beneficially influences body composition. For now, the conclusion that Dr. Tortoriello and his colleagues have reached is that turmeric – and its active anti-oxidant ingredient, curcumin – reverses many of the inflammatory and metabolic problems associated with obesity and improves blood-sugar control in mouse models of Type 2 diabetes. In addition to exploring novel methods of curcumin administration to increase its absorption, they are also interested in identifying novel anti-inflammatory processes invoked by curcumin and in adapting those processes in the development of more potent curcumin analogues.